Salman, on reaching the court, produced and verified the personal bail bonds of Rs 20,000. Also, the bail bonds of the same value were produced by his surety Rajkumar Sharma, a local resident. 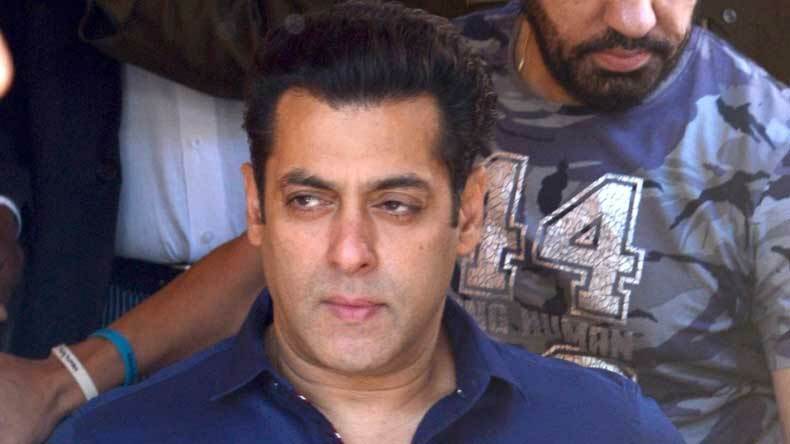 Bollywood star Salman Khan on Friday appeared in a court here for verification of his bail bonds in a case related to violation of the Arms Act. Salman was to appear in the court of Jodhpur District and Sessions Judge, but he remained present in the court of Additional District Judge as the post of district judge is lying vacant. Additional Sessions Judge S.P. Parik after verification of documents as well as of the bail bonds, posted the matter for arguments on October 5. Salman remained in the court for hardly five minutes, during which the court asked him general questions in regard to his name and address, which he responded calmly. “It is a routine procedure of the court and every accused is required to appear before the appellate court once. We have also followed the procedure,” Salman’s advocate Hastimal Saraswat told the media. Asked if Salman will appear in court on October 5, Saraswat said he will definitely come if the court calls him. However, Saraswat denied personal appearance of Salman before the local court on Saturday in the case related to blackbuck poaching in which he is an accused along with several other Bollywood celebrities. Salman and a few other Bollywood actors were accused of poaching blackbucks on the midnight of October 1-2, 1998, during the shooting of Hindi movie “Hum Saath-Saath Hain”. Salman is accused of carrying and using illegal arms also as he was alleged to have been carrying arms with expired licence. A case under different sections of the Arms Act was registered against him thereafter. Salman was acquitted by the Chief Judicial Magistrate in this case in January. However, the state government challenged this verdict in an appeal.